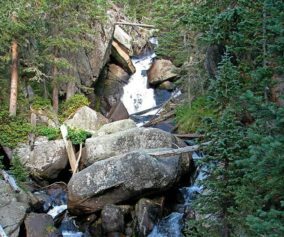 The Cub Lake Loop Hike in Rocky Mountain National Park is a great alternative to the an out-and-back hike up to Cub Lake. 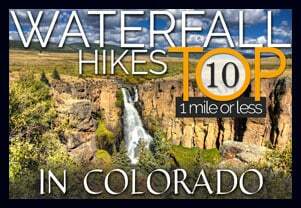 Along the way, hikers will pass by Windy Gulch Cascades, travel alongside the Big Thompson River, cross over an area called The Pool, journey through wetlands, and will be surrounded by sights of a glacial-shaped landscape. 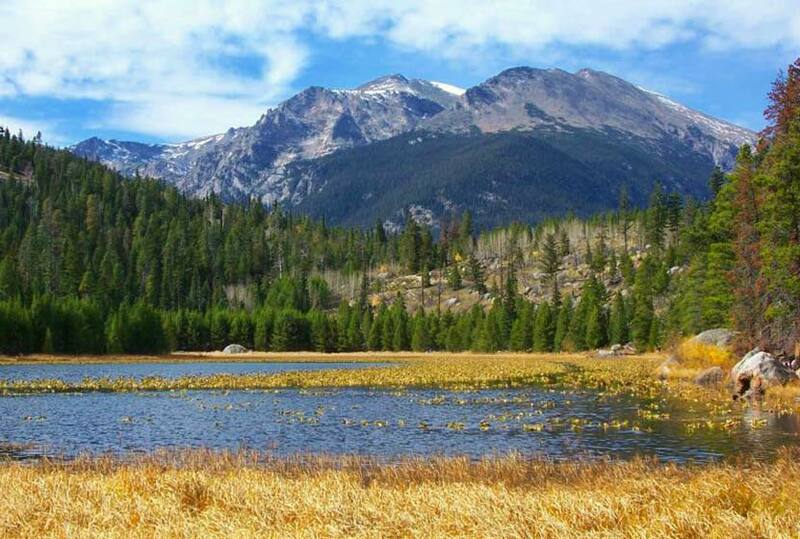 Explore the full Cub Lake Loop hike profile below for trail map, driving directions, and all the details you need to enjoy this adventure in Rocky Mountain National Park. This hike profile for the Cub Lake Loop in RMNP is hiked counter-clockwise from the Cub Lake parking area. However, it can be hiked the other direction–it’s all a matter of preference. 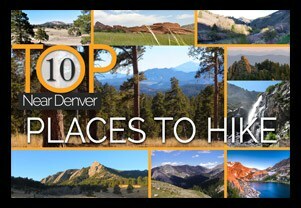 The hike can also be started at the Fern Lake Trailhead. 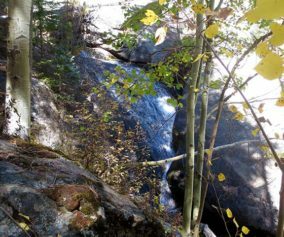 Beginning at the Cub Lake Trailhead, the first mile follows the dirt road past the Fern Lake bus stop, then through a grove of aspens to the Fern Lake trailhead. 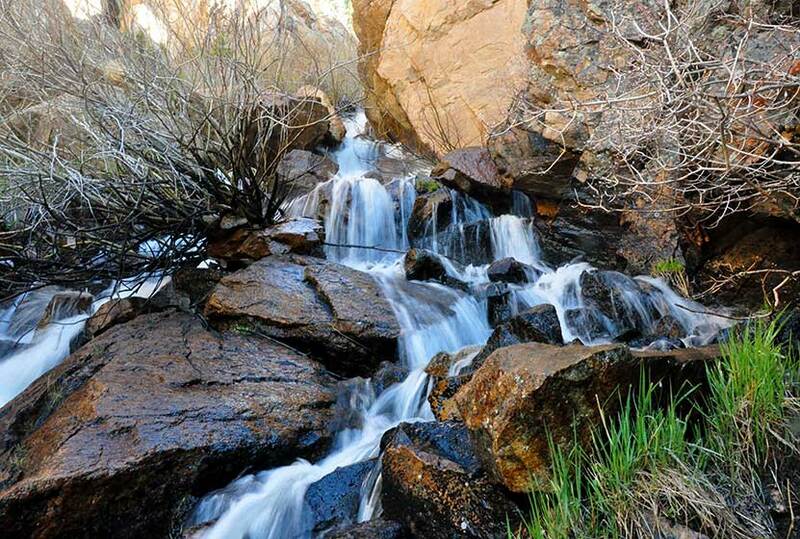 The first sight along the trail worth stopping to see are the Windy Gulch Cascades. They are about .4 mile into the Fern Lake Trail, tucked away in a gulch high above the valley. You’ll hear them first, but a footbridge and water across the trail will key hikers into the location of the cascades. 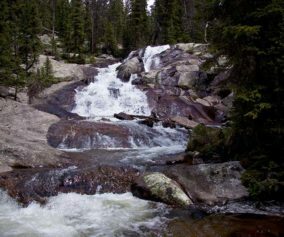 We’ve created a full hike profile on Windy Gulch Cascades, if you would like more detailed information on this hidden waterfall in Rocky Mountain National Park. After crossing the bridge at The Pool, the trail splits. The right-hand trail makes its way up to Fern Falls and Fern Lake. 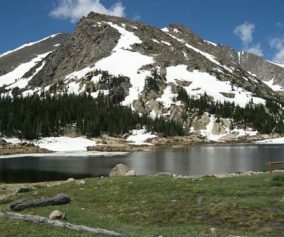 The left-hand trail leads to Cub Lake–this left-hand trail is the correct trail for completing the loop. The trail then bends south, then turns east and climbs up the South Lateral Moraine. 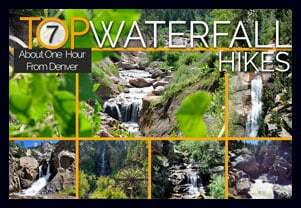 This 1.2 mile segment from the Pool to Cub Lake is the most demanding part of the hike. The trail encounters a second trail junction with the Hollowell Park Trail which bears to the right. The trail to Hollowell Park is a beautiful detour, but leads away from Cub Lake. 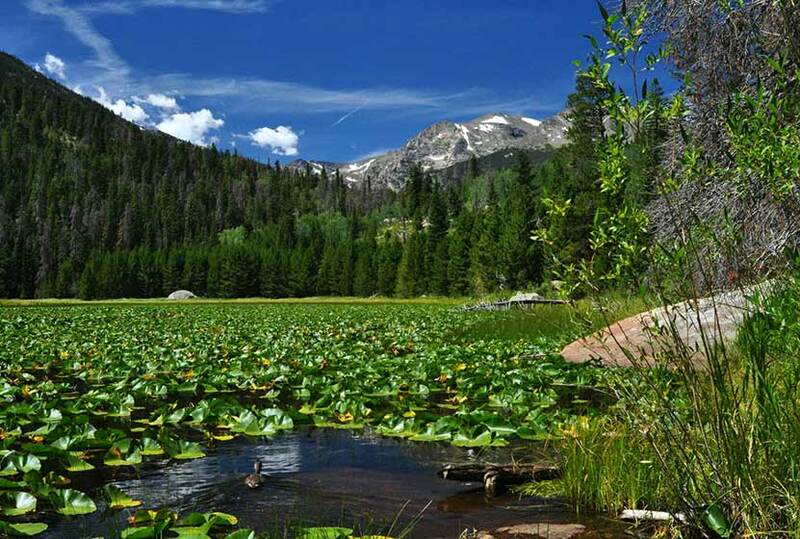 To stay on the Cub Lake loop, hikers will continue east on the Cub Lake Trail. Soon after the junction, the trail descends to Cub Lake. Some of the best views of Cub Lake come from this segment of trail. The trail then runs along the shore of Cub Lake before it makes a steep descent through a strange and wild area scraped by an ancient glacier and riddled with boulders. The final Cub Lake Trail segment leads through forest and marshland, across bridges, and down into the western edges of Moraine Park. 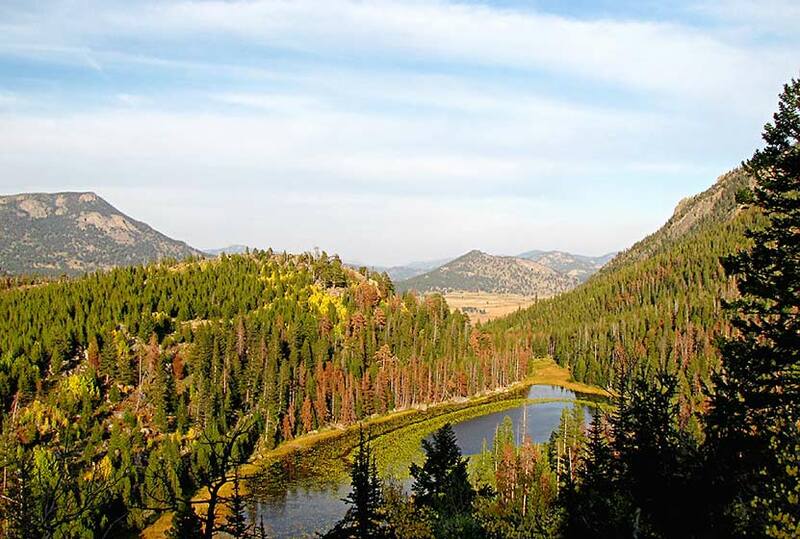 Here, hikers will likely see elk grazing, and hear and see an extensive variety of birds among the shrubs and aspens. Before crossing into Moraine Park, the trail will split again. The right-hand trail leading along the South Lateral Moraine. The trail back to the Cub Lake and Fern Lake Trailheads, continues North/Left for about 1/3 of a mile back to the Cub Lake Trailhead. TIP: Take advantage of the free park shuttle to get to the trailhead during peak seasons. 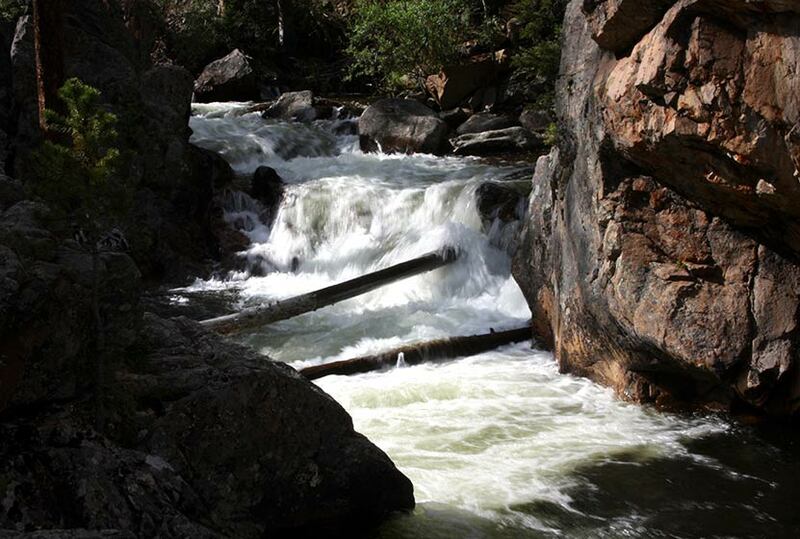 Bring A Picnic Lunch: The banks along the Big Thompson River can be a great place for picnics. Bug Spray: Because of the amount of water along this hike, hikers will likely encounter a fair share of mosquitos; so, bring some bug spray. Photo: We would like to express our gratitude to Andrew Mace for sharing such an amazing photograph of this hike to Cub Lake Loop in RMNP.